Home > News > New “Success Stories” Page Created! On this page, we have compiled a series of success stories shared from associates in the TLV Group. 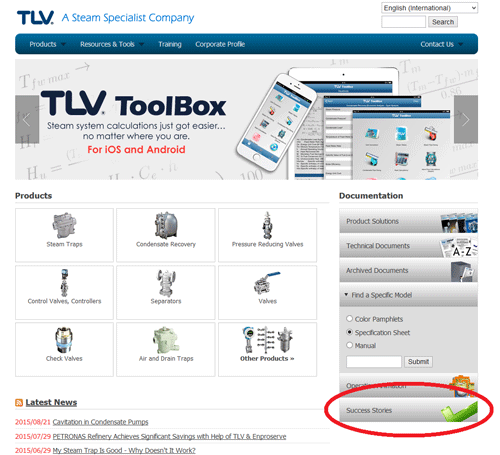 Through these stories, we hope to show the wide variety of industries and applications in which TLV products are used and the improvements we have achieved while working together with our customers. Over time, we will continue to add new success stories to the page. We welcome your feedback, so please feel free to contact us if you have any comments you would like to share.